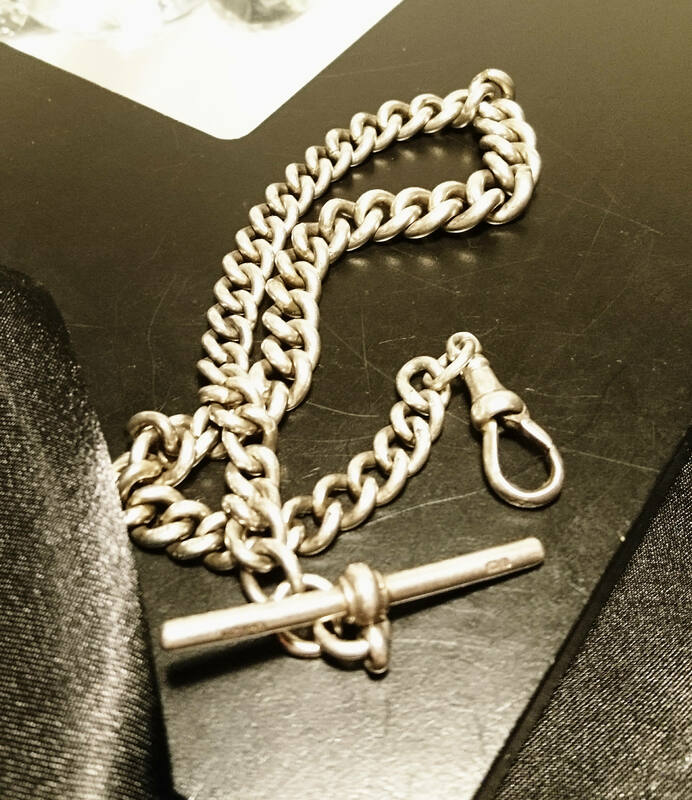 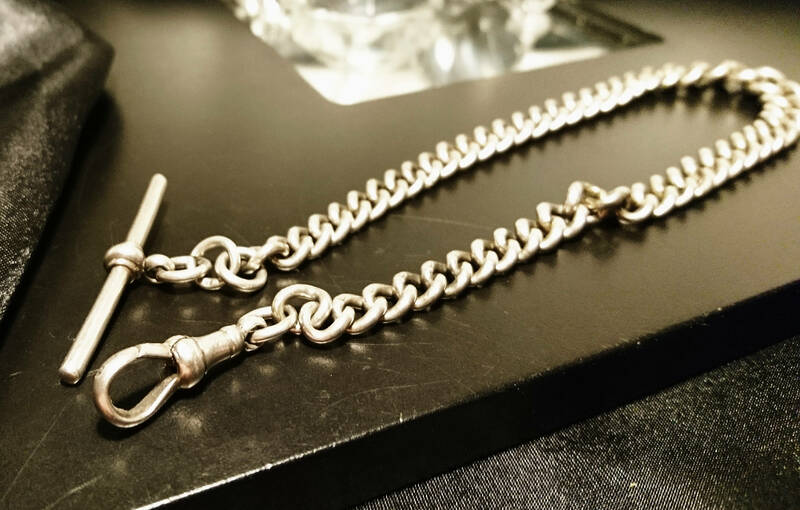 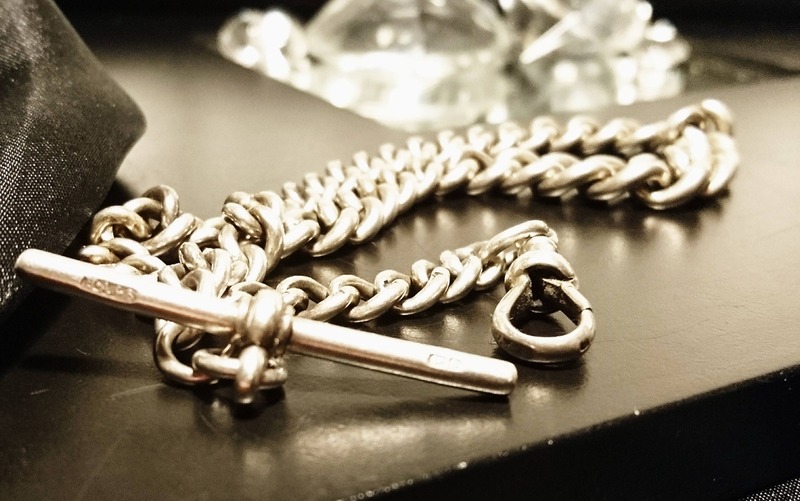 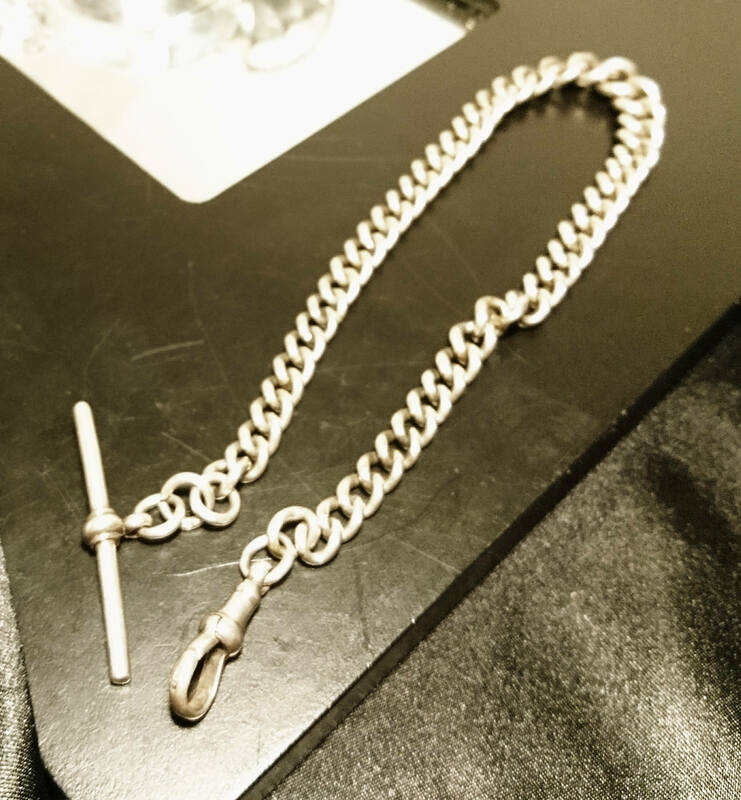 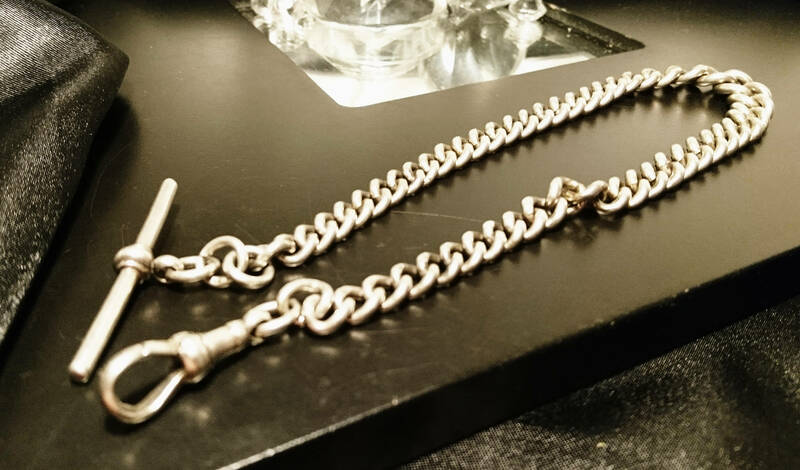 A lovely antique albert chain with T bar and dog clip fastening. 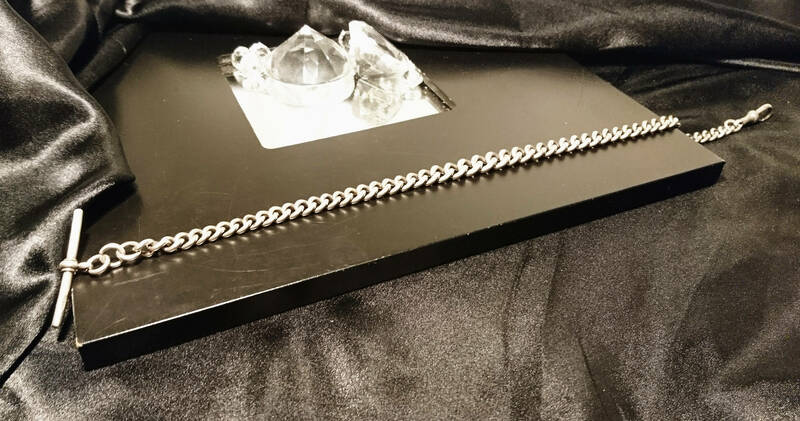 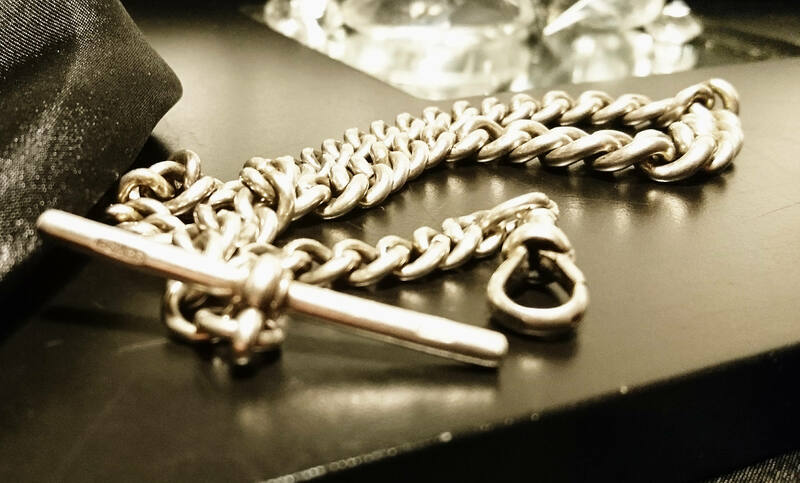 This chain has a nice weight to it at 45.86 grams, nice thick graduated curb link, each individual link is stamped with the lion passant, the chain is approx 13" total length. 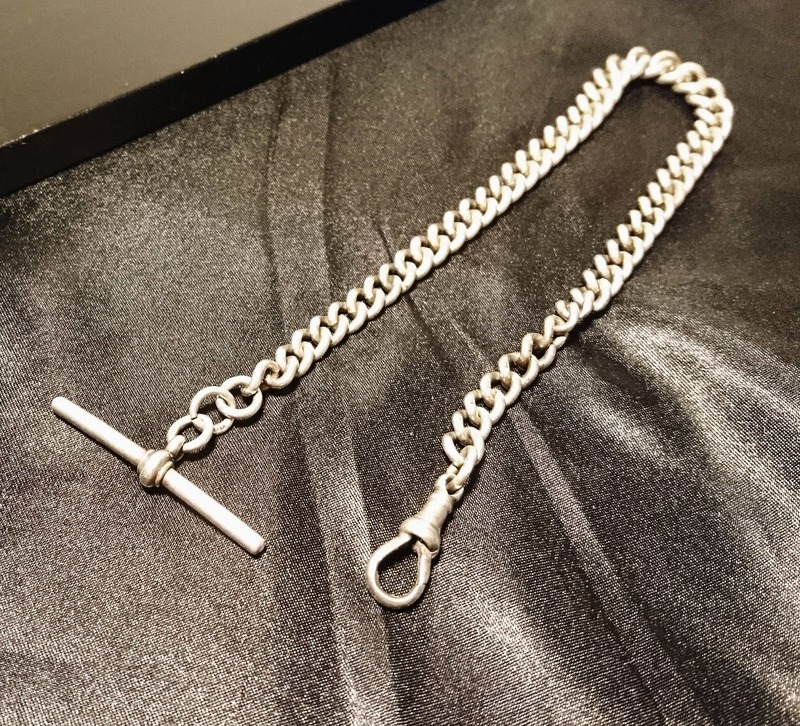 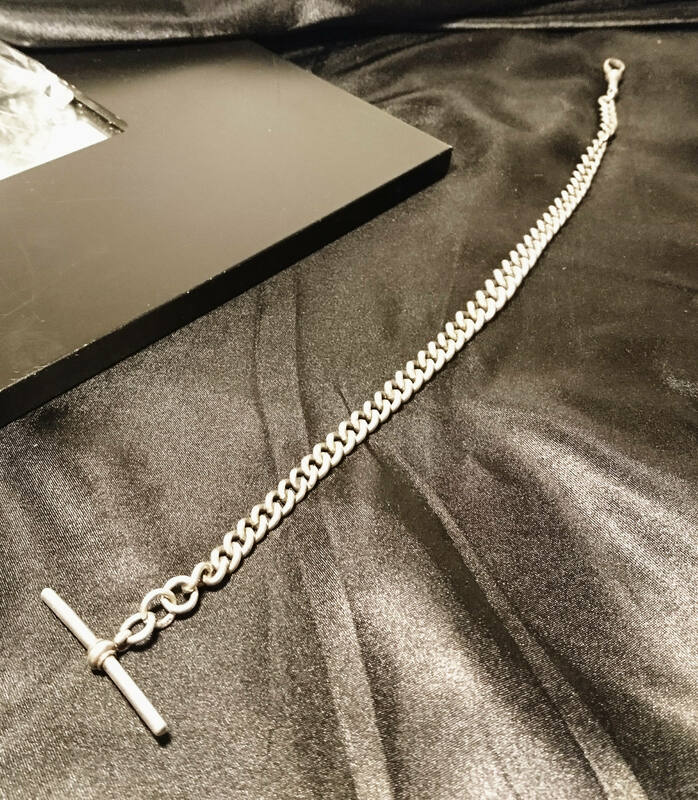 The T bar itself is fairly large at 1.6" width and is fully hallmarked, as is the dog clip, hallmarks are for sterling silver, Birmingham, Henry Allday and Son, made in the year 1900 exactly the year before Queen Victoria's death and the end of her reign. 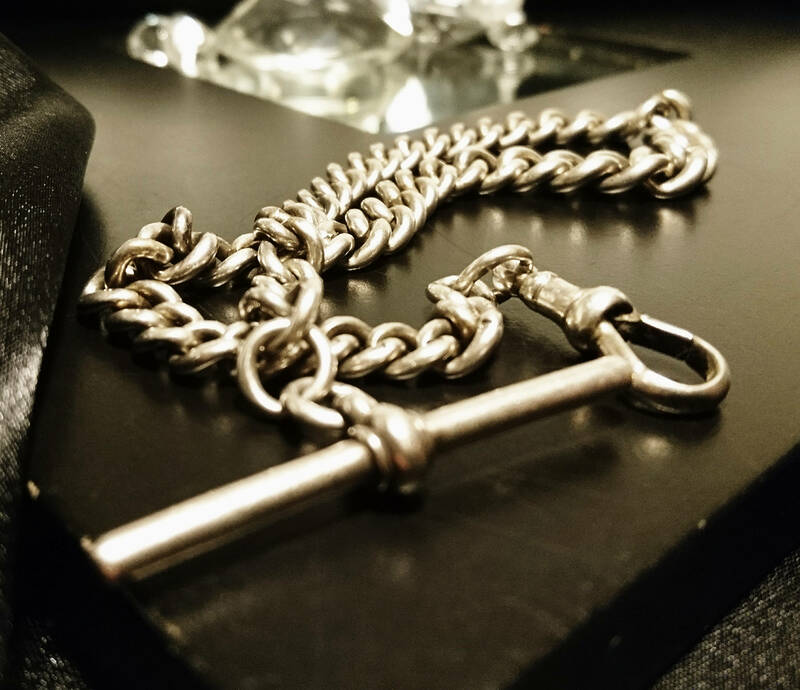 A very fine albert chain in good antique condition.